Broadway fans across the world traveled to dust off their tap shoes, put on their favorite costumes and sing along with their favorite show tunes with their Broadway idols for the annul BroadwayCon in January. The panels were diverse as different panelists talked about actors, choreographers and playwrights—all with different ethnicities and gender orientations. 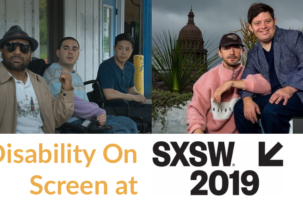 Fortunately, people with disabilities were put on center stage on two panels about the importance of website accessibility and casting actors with disabilities. BroadwayCon’s Industry Day had a brief panel that was called The Forgotten Fans. Jackie Lau, the Executive Director of Project Management at Situation Interactive, opened with a brief story of her friend named Maureen. Maureen, a long-time Broadway fan in her 60s, travels to New York City every year, and her favorite musical is The Phantom of the Opera. Maureen is also blind, making it hard to browse the Internet and make plans for Broadway trips. So, Lau knew that she had to solve that problem for Maureen and other fans with visual disabilities. “Disability is a human challenge, not a technological one,” said Lau. Two clients that Lau & Situation worked with were the ticket website Broadway Direct and the Tony-nominated musical Mean Girls. Together, they strategized and tested how theatergoers with visual disabilities can go through their websites. On the Broadway Direct website, the screen reader announced all of the navigation content when one logs in, so it took a long time to get around the navigation bar. Instead, Lau reprogrammed the screen reader to have the option “Skip Navigation,” so the readers can go directly to the content they want. Lau is happy that Situation is starting to fix problems, so fans with visual disabilities like Maureen can have access to Broadway. They are looking at different fields of marketing to improve theatergoing for fans with disabilities. The Theater Development Fund (TDF) plays an active role in making Broadway and off-Broadway theater accessible for people with disabilities. They arrange services for open captions and ASL interpreters, accessible seating for people with wheelchairs and audio description for those with vision disabilities. They also partner with producers to make arrangements for autism-friendly performances of Broadway shows that include quiet places and sound and lighting reduction. At Broadway is for AnyBODY, fans discussed how Broadway needs to include casting for everybody, including actors with disabilities. “If you see yourself or a connection to your character, you can do it with your body if it (your body) lets yourself do it,” said disability advocate & panelist Manja Netter. One issue that was brought up was the casting controversy over Bryan Cranson, who is not disabled, in The Upside playing a quadriplegic man in a wheelchair. One audience member shares that an able-bodied man can only play a character with a wheelchair “if a scene required the character to walk.” Another audience member suggested that they could do the same scene with an actor that can’t walk, using computer-generation imagery to manipulate the walking. Disability is slowly coming to the Broadway mainstream. The 2017 production of The Glass Menagerie, starring Sally Fields, had the first actress with disabilities to play Laura—newcomer Madison Ferris, who has muscular dystrophy. Deaf West’s production of Spring Awakening had a Tony-nominated run on Broadway and featured an equal cast of deaf and hearing actors. 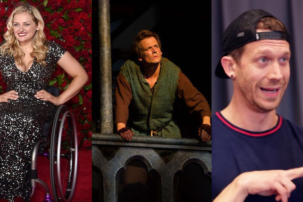 The production marked the Broadway debuts of Academy-Award winner Marlee Martin, “Fargo’s” Russell Harvard and “Glee’s” Ali Stroker, who was the first performer with a wheelchair on Broadway. Stroker will star in the Broadway revival of Oklahoma this spring. 2014’s revival of Side Show, which is based on the lives of conjoined twins Daisy and Violet Hilton, featured Jordaana James and Josh Walker, two actors with dwarfism, in the ensemble. The Tony-winning Dear Evan Hansen still is selling out to full houses every week on the Great White Way. 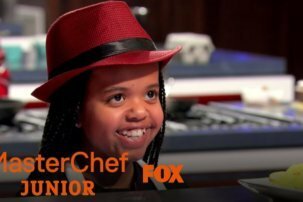 The titular character, originally played by Ben Platt, lives with serious anxiety. Evan visits a therapist who tells him to write a letter to himself every day to build confidence. Evan also has a broken arm throughout the show, which he uses to get people to talk to him. Evan’s frenemy Connor has severe depression, anger disorder and drug addiction that becomes an important plot point in the show. However, Broadway still has a long way to go for full inclusion of actors with disabilities. In its 15-year run, Wicked never had an actress with physical disabilities to play Nessarose, the Wicked Witch of the East, who gets around by wheelchair. The 2015 Best Play A Curious Incident of the Dog in the Nighttime had one of the first main characters on the autism spectrum on Broadway; however, they cast an actor without autism or any other disabilities for the role of Christopher. Additionally, Broadway’s recent productions of The Cripple of Inishmaan, Richard III, The Miracle Worker, Of Mice and Men andThe Elephant Man, whose main characters have physical and intellectual disabilities, had all of these lead roles played by celebrity actors without physical disabilities. Broadway is starting to recognize people with disabilities. It may be a small start, but every piece of representation counts. BroadwayCon took advantage of its power of communication by reminding attendees that some fans and artists do have disabilities, and they should be recognized. However, there still is work to be done in casting, marketing and storytelling. Spreading the word, such as the panels at BroadwayCon, is effective because communication is the key to change. The more stories there are about disability and casting actors with disabilities, the quicker change will come.